With so much iOS 8 excitement and noise in the way, we tend to forget at times that iOS 7 still exists for devices in our pockets. 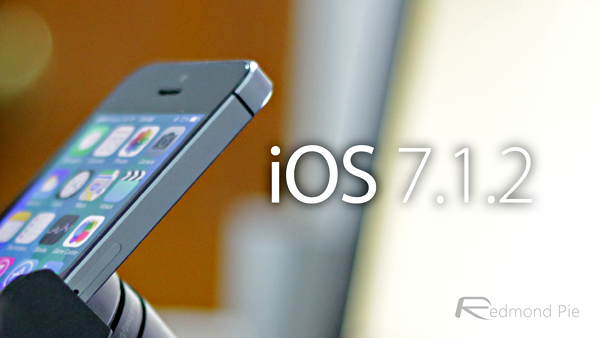 And today we’ve learned that iOS 7 is due for an incremental update, in the form of 7.1.2, which should drop in a mere few days, according to a new report that has just surfaced. The tidbit comes from MacRumors. They are reporting that carriers are currently in the phase of testing the said update, and it will be pushed to end users in the coming week. 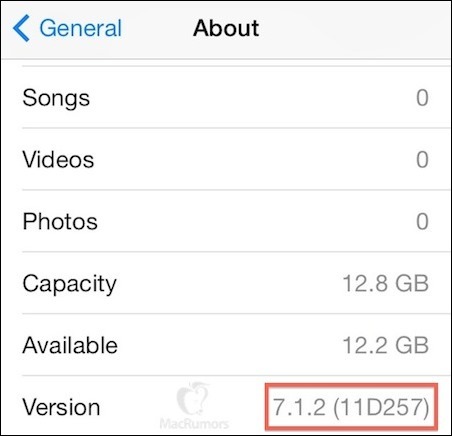 The iOS 7.1.2 update – build number 11D257 – brings with it a myriad of fixes, and it is meant to address the mail attachment encryption bug, a lock screen related bug that grants unwanted individuals access to certain apps – commonly referred to as the ‘missed call’ bug – and last but not the least, a fix for a bug related to iBeacon. While there is no explicit mention of fix for iOS 7 iMessage Delivery Bug, it is likely that it too will be patched in this new update. This incremental update will not bring with it major changes, except for the ones mentioned above, as pointed out by MacRumors. If Apple does throw in a few surprises, then we’re sure they will be no more than ‘other’ bug fixes and performance enhancements, so don’t expect something major out of this update. As always, those of you who are jailbroken on 7.0.x should obviously avoid this update as there is currently no jailbreak available for iOS 7.1 firmware and over. We’ll obviously update you as soon as the update is live on the Apple servers.